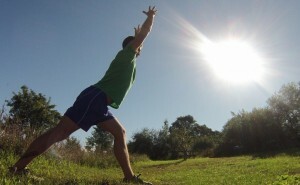 Are you an athlete or outdoor enthusiast in need of reliable, long-lasting sport sunscreen? If so, then we’ve done the research for you. Below we share our top rated picks for enduring, eco-friendly sport sunscreens that offer lasting protection against UVA and UVB rays. Unlike most other sports sunscreens on the market, SolRx’s dry zinc oxide sunscreen sticks are nontoxic and sits on the surface of the skin to block out the sun physically, rather than getting absorbed into it. 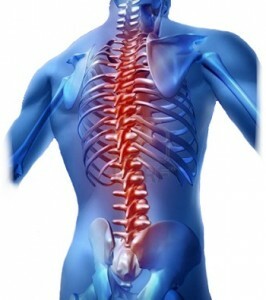 SolRx specifically developed it dry zinc formulation so athletes to use on the hands, faces, ears and bodies. The sunscreen is clear and oil free so that it leaves a matte finish when applied, allowing athletes to focus on exercise and play, instead of worrying about how pale they look. 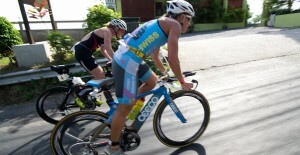 As a result, it’s one of the most top-rated sport sunscreen products on the market. 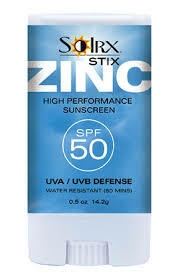 SolRx SPF 50 Zinc Oxide Sunscreen Sticks are specifically designed for easy application and convenient carrying. The pocket-sized sunscreen sticks are compact, and this makes them ideal for tennis and golf enthusiast who have partial skin coverage when they are exercising or competing. This top rated SPF 50 sport sunscreen is water resistant for at least 80 minutes so you won’t have to worry about the sunscreen washing off while you are swimming or trickling into your eyes when you sweat. 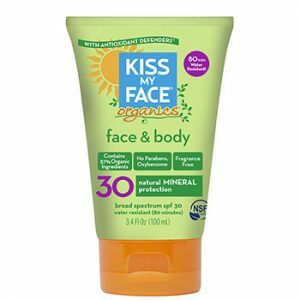 The organic Kiss My Face body and mineral sport sunscreen combines soothing anti-oxidants such as sunflower oil and green tea with non-toxic and environmentally friendly physical sun blocking agents such as zinc oxide and titanium dioxide to provide superior sun protection. It is fully organic (i.e., free from parabens and artificial fragrances and meant to extend the product’s shelf life and make it smell more appealing.) The Face & Body Mineral Sunscreen SPF 30 also gives the skin considerable moisture protection and keep it supple thanks to the use of sunflower ad sesame oil in its formulation. Protect yourself, protect your family’s skin and feel great doing it! Suntegrity 5-In-1 Natural Moisturizing Tinted Face Sunscreen SPF 30 is one of the best sunscreens for lasting sun protection without the greasy feel. It manages to hydrate the sin, protect and nourish it using healthy anti-oxidant ingredients, provide light coverage, hide flaws and provide broad spectrum UV protection. 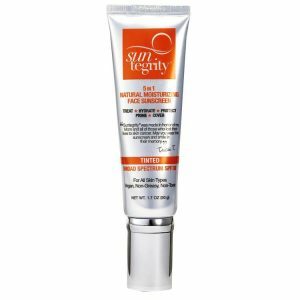 Suntegrity 5-In-1 Natural Moisturizing Tinted Face Sunscreen SPF 30 delivers optimal SPF 30 sun protection using uniquely micronized zinc oxide and titanium dioxide minerals that block damaging rays. This sunscreen is water resistant for at least 80 minutes, but we recommend re-applying after swimming or doing water sports. Unlike other natural sunscreens, it comes in a smooth, non-greasy formula that leaves no white residue and it has light hydrating benefits with rice bran oil, grape seed and aloe Vera. it also evens the skin tone with a touch of natural mica tint. A nice tan can be the cherry on the cake for those visiting a beach destination or engaging in a variety of outdoor sports over the summer. Sizzling, golden-like skin and tan lines will invariably provoke envious exclamations from those who were not lucky to share your experiences. However, over the years, this pleasure that many enjoy has turned into a serious disadvantage for all as the need for protection against sunburns and skin cancers turned into damage involuntarily meted on the environment. If you are not careful enough to pick the right one, the sunscreen you are relying on to protect your skin from the adverse effects of sun exposure can have adverse effects on the environment. Fortunately, technology has evolved and more sunscreen producers have done their part in making products that preserve the environment you want to enjoy. The chemical makeup of these sport sunscreens allows for easy breakdown of the creams without any damage to water, fish, coral reefs, and well, your skin.